Working in the business analytics arena, I’m always interested in learning the myriad of ways that organizational and business data can be mined and explored to reveal insights for enhanced decision-making, productivity and overall business improvement. What excites me the most is when I hear about businesses that are using data mining and data analytics techniques to improve our quality and way of life. One way of life is the way that we play and over the past few years, companies have been focused on developing new ways to help sports teams and individual players analyze their performance during sporting events to improve their performance in the future. If you’re a golf fan you might appreciate knowing the performance stats of the top 10 players of the 144th British Open. If you’re a golf fan who is also a golf player, then you may appreciate knowing about Arccos Golf and its mobile golf stat tracking system. This system allows you to track your individual performance on the golf course in real time by pairing smart sensors attached to each club with your smart phone. Today, access to your own golf performance data, such as average drives, longest drives and puts-per-hole data, is a real-time reality. In my case, tennis is the preferred game of sport. Though I’ve recently read that tennis is running behind other sports in terms of data analytics, I’ve been pleased to learn about some new ways that data analysis is being applied to the sport that I’ve played since high school. I was excited to read about consumer sports analytics system provider PlaySight Interactive Ltd. and its PlaySight™ Smart Court, which captures a player’s on-the-court performance data and enables the player to access a plethora of real-time and post-match personal performance statistics. Talk about awesome! 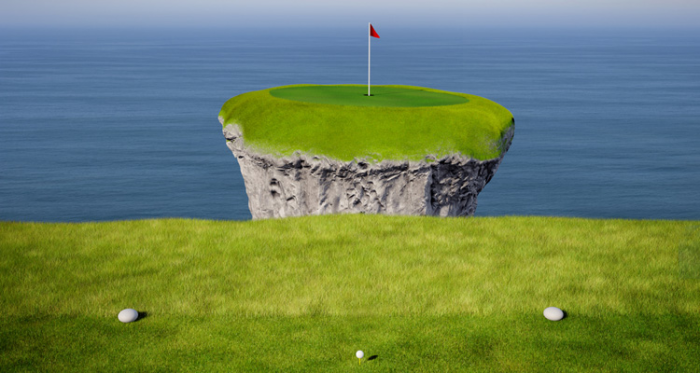 While considering the benefits of the Arccos Golf Tracking System and PlaySight Smart Court and how these technologies enable players to see beyond the surface of greens and courts to discover new insights into their personal games, I began thinking a bit more philosophically and wondered…exactly how much lies beyond the surface of our lives that we can’t see? I tend to think that the universes inside each of us seem hidden and that we often make assumptions about others based on surface realities that we see without “Smart Court” access to their truths and feelings. Would you agree? When you interact with others, how often do you consider what’s not being said? And how often do you consider what you may be missing as you consider their points of view?